This shoreline themed collection of beads in colours inspired by sunny days at the beach collecting seashells have a lovely mix of gemstones and seashells ranging in size from approximately 4mm to 25mm. 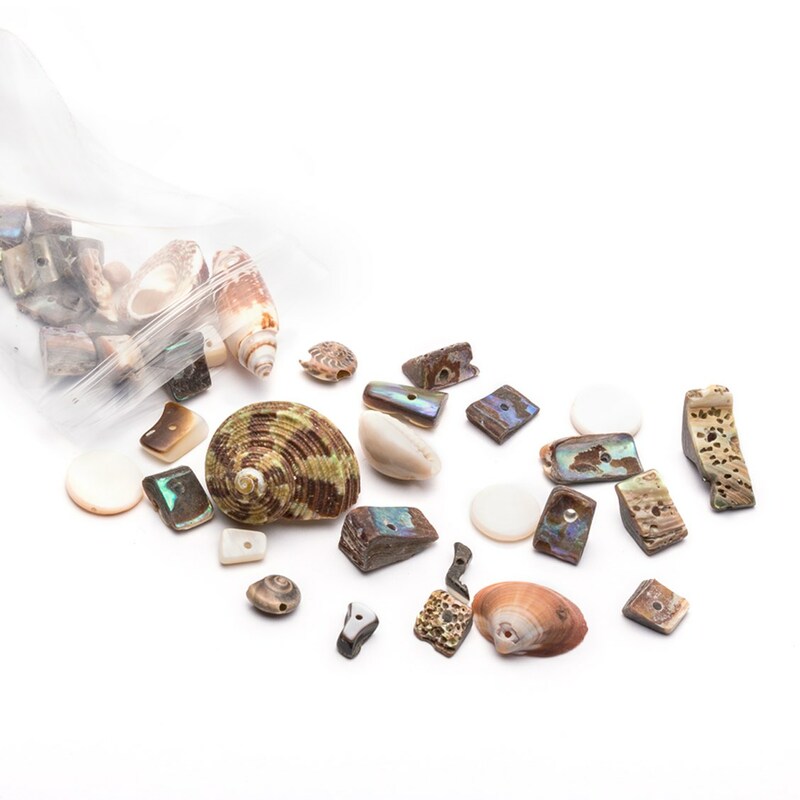 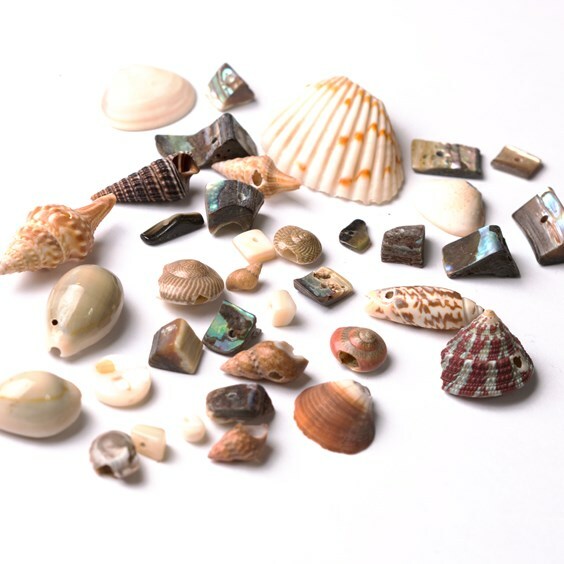 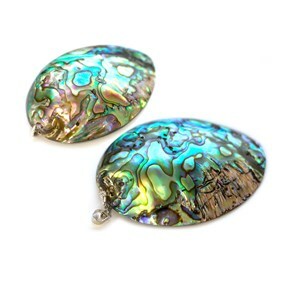 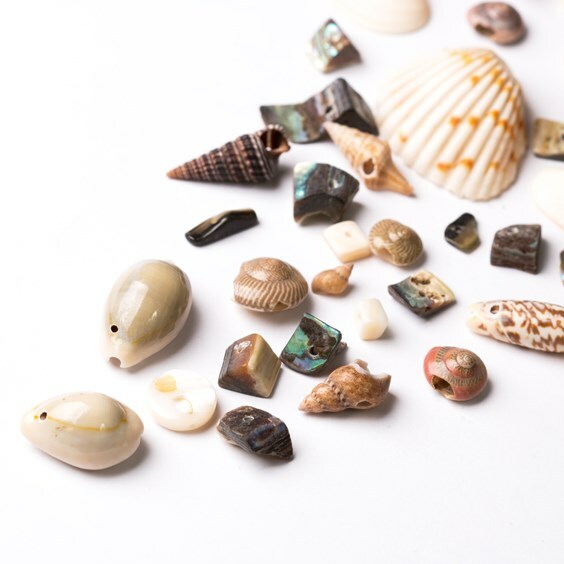 Packs include a variety of fully drilled different shaped natural seashells (whelks, cowrie, cone-shape nassa, conch, and scallop) which we have incorporated with mother of pearl and paua shell chip beads. 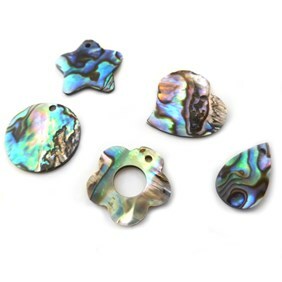 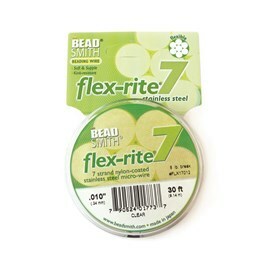 Bead packs are perfect for incorporating into unique beaded jewellery designs and as there is so much variety in shape you can make many designs from just one pack. Stocks may vary slightly from those photographed.